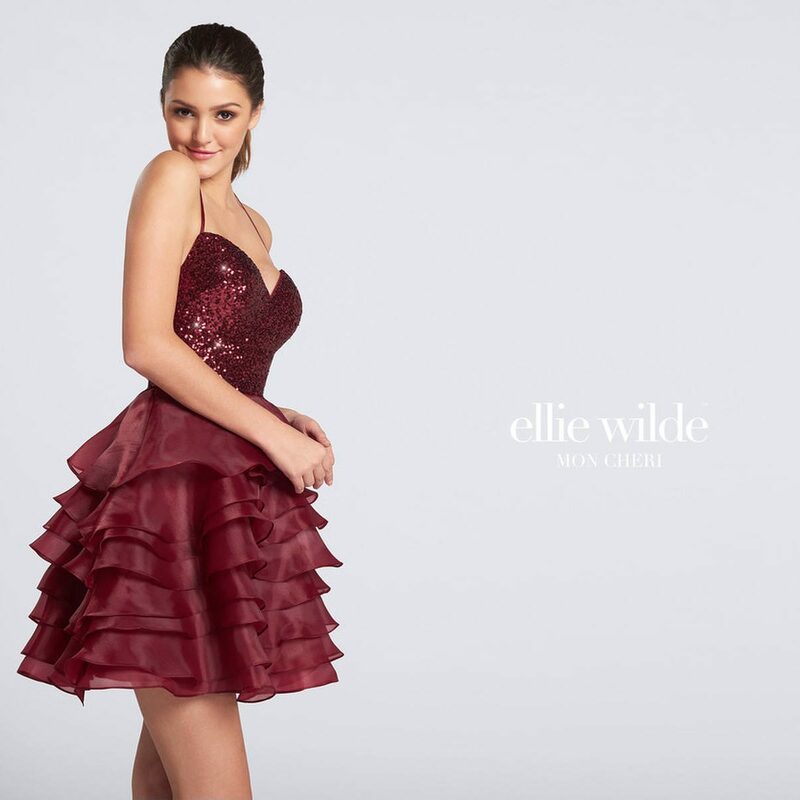 Sparkly and chic, this Ellie Wilde short dress EW21727S is a perfect choice for your homecoming dance. This dazzling silhouette features a densely sequined fitted bodice with thin halter straps that hook in back with dangling beads, and a sweetheart neckline. The a line skirt is made of multi-layered ruffled organza.